Generally, I would not suggest to feed anything that we humans eat, to cats. There are however a couple of foods that are extremely dangerous to cats. First of all, letting your cat eat anything at or near the dinner table, gives your cat a statement that he/she can ask for food anytime you are having dinner. Perhaps it doesn’t matter to you, but to some visitors it might look strange that you allow your cat to jump the table or share your food with them in general. So starting that behaviour once will make your cat think that it can always come and beg for food. Secondary, your cat should really keep a strict diet on the food that has been made for them. Whether you feed them by making your own food or feed them through cat food bought from the veterinarian or animal store (some would even buy cat food from a normal food store). All the things that a cat needs is in this food. Feeding your cat outside of that, means it will not eat all its food from his bowl, which results in the cat not getting those meaningful nutrients and other ingredients in them. It also means it will get a lot of extra stuff in them they might not need so much of. It could potentially make your cat fat. And it might start to prefer your food over his/her own food. Third reason to not feed your cat food from your dinner table is that there might be harmful things in the food. Think of the time you are eating some nice homemade chicken or turkey. With the roast you also made a nice gravy with onions, garlic, spices and potatoes. This gravy the cat really loves (and your dog too), but it is extremely dangerous for your cat. The same goes for that nice salad with Avocado’s and tomatoes. Below is a list of absolutely harmful things for cats. Poisonous Food For Cats – Chocolate! Chocolate is absolutely number one food type not to feed a cat. Although we are a cat focused website, I want to inform dog owners that also for their dog, chocolate is an absolute toxic to both cats and dogs. 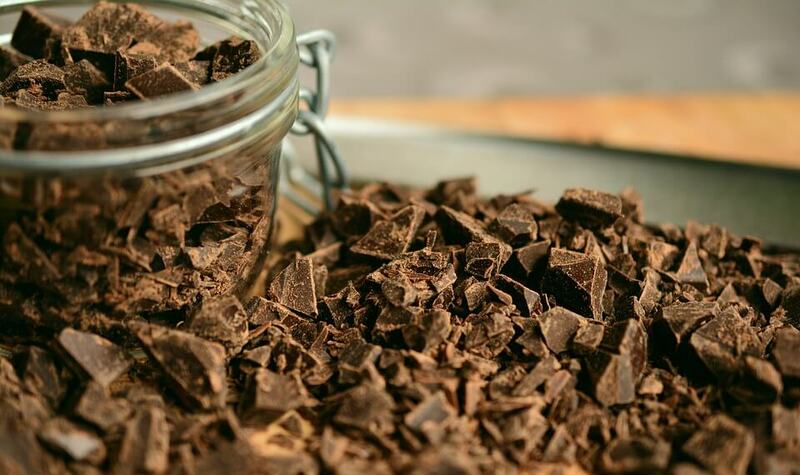 It is because of a certain ingredient in Chocolate, called Theobromine. Theobromine is a methylxanthine. Especially the darker types have it more than others, but all chocolate is bad for both cats and dogs. Note that this is just as well bad to humans when taken in overly great amounts like kilo’s, while for dogs and cats you need very little for it to be dangerous. Caffeine is also a methylxanthine and therefore just as dangerous as chocolate to cats, dogs even rabbits. Theobromine and methylxanthine cause vomiting and diarrhea, high body temperature, muscle tremors, abnormal heart rhythm, abdominal discomfort, increased thirst, and seizures. As little as 70g in dogs and much less in cats can be harmful. Onions, Garlic and Chives (shallots and scallions too) have all the compound N-propyl disulphide in them. This causes anemia. Anemia is a condition in which you develop less red blood cells or less hemogoblin. It comes down to that your cat would get less oxygen in the body, causing fatigue, high heart beat at exercise, dizziness and more. The compound is stronger in onions than in garlic and chives, but they are just as harmful in bigger amounts. Note that only two slices can be enough for developing this. Dough will first and foremost swell in a stomach. Dough contains also yeast. Through the yeasting process, it can create alcohol in the stomach as well. Alcohol is very harmful for cats and can cause vomiting, diarrhea, tremors, disorientation, trouble breathing, coma, and even death. Ingestion of grapes and raisins are extremely harmful for cats and dogs. They can cause immediate kidney failure. They might be unable to produce urine and they might vomit repeatedly. It is best to not leave any grapes on counter tops and tables unattended. This artificial sweetener is in sweets, gum and some toothpastes. Xylitol increases the insulin circulating through your cat’s body, which will cause the cat’s blood sugar to drop. It will cause seizures shortly after ingestion and will cause kidney failure the day after. Something to really keep away from cats! Green potatoes and green tomatoes are also harmful for us humans. Generally, cats should not eat potatoes and tomatoes at all, because they are carnivores. But in green potatoes (and tomatoes) is a toxic that is harmful to cats (& humans). Raw eggs and raw meat can contain E.Colli and Salmonella, which is dangerous to all living creatures including cats. Bones of (raw) meat can get stuck in a cats throat. Bones themselves are not harmful to cats, but can only be ingested as bonemeal. Although not poisonous, cats are lactose intolerant. It will cause vomiting, upset stomach or diarrhea. Only kittens drink milk from their mother. After this they are unable to reintroduce this to their digestive system. Dog food isn’t directly toxic, but doesn’t have all the ingredients and nutritions that a cat needs. For example dogs can like humans take a lot of similar nutritions from meat also from vegetables. Cat’s are carnivores and cannot take the same nutritions out of vegetables. They can only get it out of meat products. So a cat eating dog food gets malnutrition. They need a balanced diet that is only to be found in cat specific food. Next to the possible surface bacteria such as Salmonella and E.Colli, contains raw fish also an enzyme that can destroy thiamine in cats. Thiamine is an essential B-vitamin in cats. A lack of thiamine can cause serious neurological problems and lead to convulsions and coma. 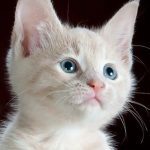 If cat eat too much liver, it can cause vitamin A toxicity. Vitamin A toxicity causes bone deformations and can even lead to death. Giving your cats too many cat treats is not directly poisonous, but it has the same effect as in humans and their sugar treats: obesity and diabetes through obesity. Human medicine is one of the most common forms of poisoning in cats. Ibux/Ibuprofen can be deadly to your cat. 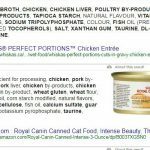 A long list of foods we humans eat, are not directly harmful for cats and they will certainly like them, but they are not nutritional for your cat. They are simply filling carbohydrates that have no function for them. Unfortunately the big pet food industry uses them in the cat food production (to make easy money).